e-News including Vancouver real estate insights, trends, tips + more. * Special Conditions Apply, please call for more information. Borrowers must qualify on approved credit (OAC) and all rates are subject to change without notice. All rates are shown as annualized percentage (APR) and do not reflect all lenders. Rates may vary from lender to lender. E & O. E.
This is our first time using a mortgage broker and we would not hesitate to highly recommend Dorothy and the Synergy team. We didn’t know that mortgage brokers worked with major lenders and Dorothy was able to secure us a great rate with a great bank. We were able to buy our dream house in our dream location. 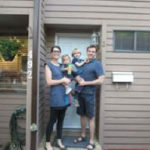 As first-time homebuyers, we had a steady stream of questions – to which we always received prompt, professional and helpful answers. Chana and Dorothy were lovely to work with and we would most certainly recommend them to others. After having a bumpy start trying to get a mortgage through my bank, I was referred to Synergy by a good friend. I am a first time home buyer and Dorothy went above and beyond to explain every step to me and find me the best mortgage possible, and my hat goes off to you ladies for proving that there is still such a thing as a personal touch when it comes to service! Bravo. This is the 2nd time I have had the pleasure of using Dorothy Bried from the Synergy Team to renew my mortgage and just like the 1st time, it has been nothing short of an awesome experience. I barely lifted a finger in this whole process and for guy like me where time is valuable, this was just what I needed. Lastly, who doesn’t want cash back! I will be recommending the Synergy Mortgage Team to all my family and friends. Some friends recommended Chana and Dorothy to us when we were looking for a new mortgage broker. The whole process was seamless! I love how 99% of our communication was done by email so we could work around our own schedules. As a bonus they kept getting us a better and better interest rate. We had the most wonderful experience with Chana and the Synergy Mortgage team. The process was streamlined, and all the details were taken care of in a highly professional and timely manner. Chana worked so hard on our behalf, keeping us informed at all stages. We just wanted to say how pleased and fortunate we are to have had Synergy Mortgage obtain financing for all of our purchases in Canada. They have, consistently, found us the lowest interest rates with either fixed and/or variable mortgages. Because of Synergy’s wonderful professionalism, their ‘up to date’ knowledge, their concern and commitment to their clients and the supportive family environment Synergy creates, it is our pleasure to be their clients. No problem is insurmountable for Synergy and we would be lost without them. 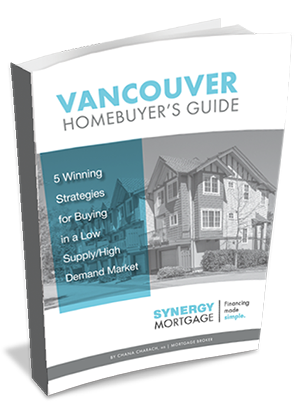 Since 1997, the Synergy Mortgage Team has helped hundreds of British Columbia homebuyers get the best mortgage rates and terms through our established network of lender partners. In fact, we make it our business to save homebuyers time and money by providing unbiased, professional advice along with highly-personalized mortgage solutions. What are the 6 C’s of Credit? How can you leverage the equity in your home? Which type of mortgage product is right for you? © Copyright 2019 - Synergy Mortgage Inc. | All rights reserved.